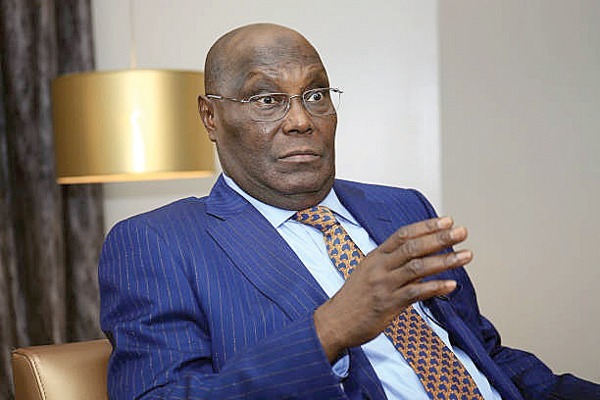 LAGOS—PEOPLES Democratic Party, PDP, presidential candidate, Atiku Abubakar, yesterday, reiterated his commitment to restructuring the country as president, saying that he would not disappoint with his promises like the All Progressives Congress, APC. Speaking before a mammoth crowd of supporters in Lagos, Atiku chided the APC administration for failing to deliver on its key promises made to the electorate before the 2015 general election. National chairman of the party, Prince Uche Secondus also speaking at the occasion threatened to report Governor Nasir El-Rufai of Kaduna State to the International Criminal Court, ICC, for purportedly adopting terrorism in his recent rebuff of international observers to the country. The Lagos PDP Mega rally held at the Tafawa Balewa Square attracted several dignitaries including Senate President Bukola Saraki; Vice Presidential candidate, Peter Obi; former Governor of Ogun State, Gbenga Daniel; the immediate past governor of Kogi State, Captain Idris Wada; Governorship candidate of PDP in Lagos State, Jimi Agbaje and former Deputy National Chairman of PDP, Chief Olabode George among others. Noting that the present administration has failed in all areas of human development despite its earlier promises, Atiku said: “Let me assure you people of Lagos, South West and Nigeria as a whole, you know I am not like the All Progressives Congress, APC. “When I promise something I will do it. When I say am going to do something, I am going to do it. I swear that I am going to restructure this country and I am going to do it. “I promise Nigerians that my administration will create jobs and I have already started doing that and I will continue when I assume office. “As you all know, APC promised to create jobs but many people are losing their jobs on daily basis. “During their administration, we have the largest unemployment record in the history of our country. These are not people you can trust, they promised to secure this country, and before they assumed office it was only North East we had issue of insecurity, today we have insecurity in North West, North Central.